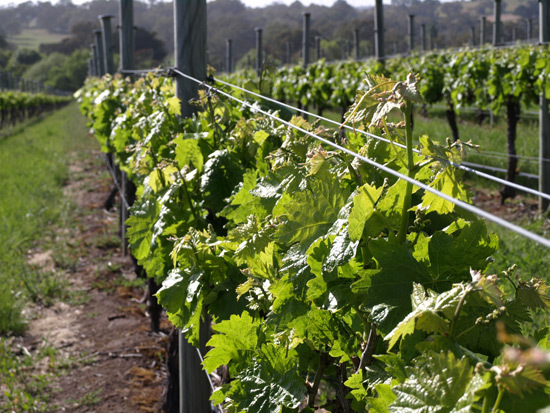 The La Linea team is working with two well-established Adelaide Hills growers: Chris Addams Williams at Llangibby; and Caj Amadio at Kersbrook Vineyards. The Llangibby vineyard, as seen in the photos, is the exclusive source of the fruit for the La Linea rosés. Located in the central Hills between Echunga and Mount Barker, it is on a gentle east-facing slope at approximately 360 metres above sea level. The soil is pretty uniform by Adelaide Hills standards: a relatively shallow grey-brown loam over clay. 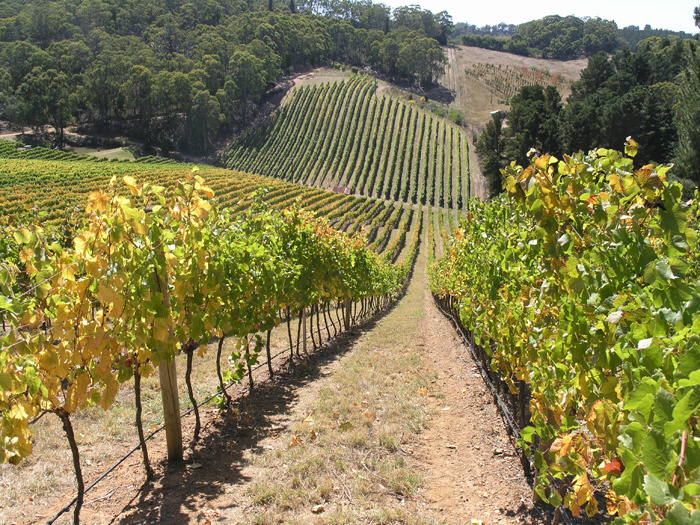 The site is of moderate vigour, and the vines do not need a great deal of ‘intensive’ management… selective shoot removal in spring is normally enough to ensure balanced canopies and adequate fruit exposure. 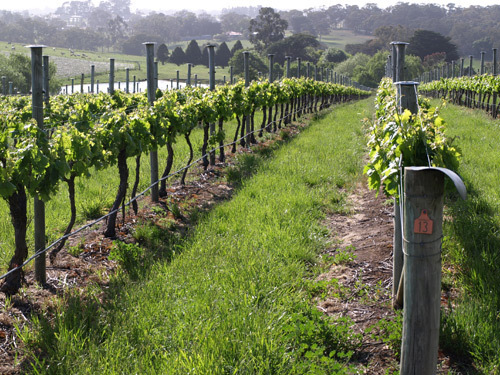 The vines were planted in 1999, and unusually for South Australia, are grafted onto phylloxera-resistant rootstocks. Our preferred site for the La Linea dry red Tempranillo is a very different block: at the northern end of the Adelaide Hills region, between the villages of Kersbrook and Williamstown, at around 300 m altitude. It is known as “Amadio Kersbrook”. It is also relatively low vigour, east-facing, and on grey-brown loam; but there the similarities to Llangibby end. Its location makes it considerably warmer and drier than the rosé vineyard… the fruit ripens earlier, with much more tannin and lower acidity—all features that make it perfect for serious dry red. Being generally a lower vigour site, we have learnt – the hard way – that we need to be very careful in managing the vines when we have very hot or dry conditions, such in vintage 2008. But as the vines mature and their roots really explore the subsoil, we have seen greater consistency and resilience, and things should only get easier as we go forward! This is the new home of the Riesling fruit used in the Vertigo wines. It bears many similarities to the Nepenthe Lenswood block, which was the source for the 2008 25GR, but is slightly higher and cooler. It is a lovely property, planted to Pinot noir, Chardonnay, Sauvignon blanc and Riesling. All four produce terrific fruit. Peter knows; he has made all four varieties into wine for the owners of the site since 1998, and each has had its place in the spotlight, frequently winning trophies at the expense of the competing Nepenthe wine in the same class! (Something his employers found only mildly amusing…). But the Riesling always showed that it had something special. If it is cropped too highly it won’t ripen; modest yields are essential. Hand-pruned, hand-picked, low vigour, stony soil, small vines; all of the attributes of quality Riesling. The slopes are steep, really steep. The photos alongside don’t really show just how vertiginous they are, but believe us, they are the viticultural equivalent of a roller-coaster. Only the brave drive a tractor at this place. “Range Road Estate” belongs to the Hoey family. Keen wine watchers will know the name – Alan Hoey was for many years a senior member of the winemaking and management team at Yalumba Wines; he knows his stuff. 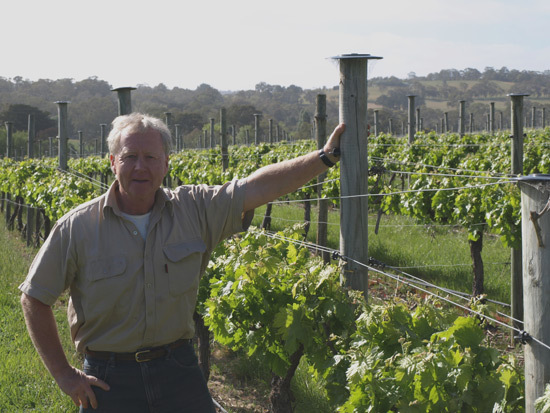 Alan and wife Cherryl tend their vineyard at Kuitpo (at the far southern end of the Hills region, above McLaren Vale) with great care and precision, and produce Tempranillo with terrific perfume and structure. Part of their success can be attributed to the red, ironstone-derived gravelly loam on which the vines grow, which seems eminently suitable for red varieties. We often wonder if Carmine Pepicelli will name each of his vines; he seems to know them all that well!Tempranillo is a small but important part of his vineyard, which is located just south of Gumeracha.East/west rows which crest a gentle hill and are therefore on relatively shallow soil mean moderate vigour, relatively late ripening, and lovely aromatics in the resultant wine. Still quite a young block, we look forward to its contribution to La Linea for many years. 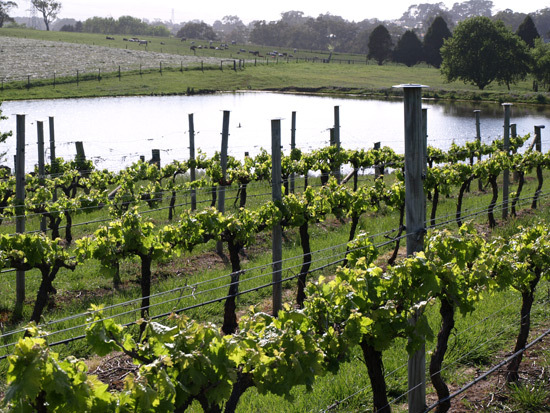 The Edwards family’s “Serendipity” vineyard lies just east of Birdwood, a stone’s throw from the Torrens River at approx 380 m above sea level. 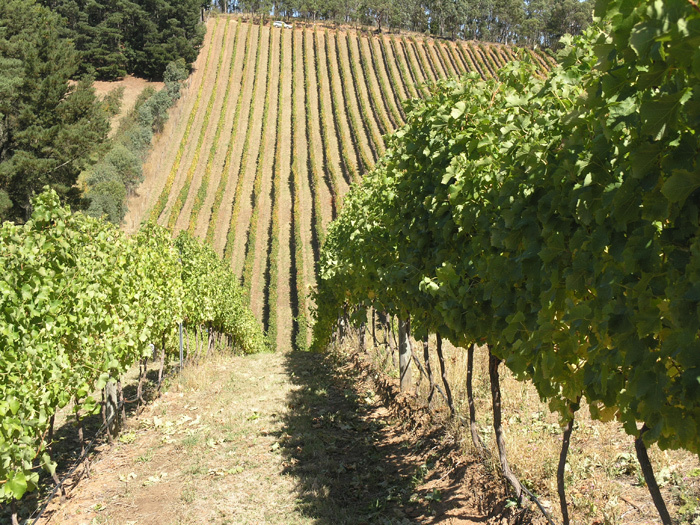 Planted a decade ago, the vine rows run north-south on a gentle northern slope down to a creek, on quite fertile soil. As a result they are naturally quite vigorous, and therefore this block has been used both for dry red and rosé, depending on the seasonal conditions.